The BMW European Delivery is one of those hidden gems that very few know about it, yet many would love to experience it. Some see it as the experience of their life, while I personally cherish it as the founding stone of BMWBLOG. In early 2005, I headed to Europe for my first of four European Deliveries – one that has changed my life. It was that moment when I fell in love with not only the brand, but also with the unique experience of purchasing a car – an event that many find it rather stressful than enjoyable. In an old building in Freeman, just outside Munich, I took the reigns of a BMW E46 325i, my first BMW and one that has changed my life. Upon my return to the US, I’ve started to not only brag about the European experience and all the goodies that come with it, but also I’ve begun to document the BMW European Delivery Program through a series of blog posts which eventually led to the birth of BMWBLOG. But before going further down the memory lane, allow me to take a moment to describe the BMW European Delivery Program. BMW, as well as many other German car makers, offers a European Delivery option when ordering a brand new Bimmer. Many people don’t realize that this program exists, otherwise I feel like there would be significantly more Americans doing it. It’s a wonderful program that allows the customer to not only get a significant discount on their car but a trip to Germany and other European countries as well as an experience to remember for a lifetime. Compared to the Americans, European customers often have to pay an extra fee – up to 500 euros – for the wonderful delivery experience. In the U.S., you order your BMW through your local dealership and plan your trip to Munich, Germany. Often times, the savings on the European delivery pay for the trip. Even after recent changes in the program, U.S. customers can save 5 percent or more off the MSRP of the car. When your BMW is ready, you will fly to Munich where you will arrive at the BMW Welt, a massive and gorgeous modern structure with an apparent floating roof. Just last month, we went back to the Welt for yet another visit and every time we’re being awed by the impressive display of cars and unique experiences. You can read about our recent Welt experience here. 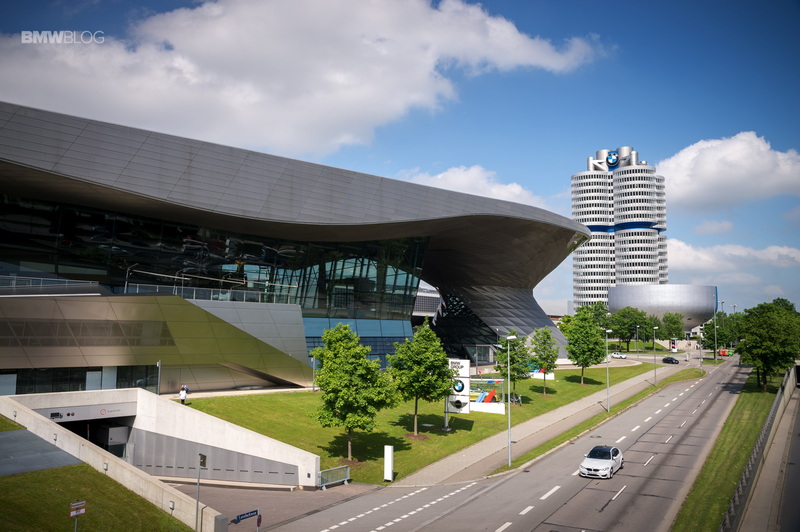 Once you arrive in the heart of Munich, the BMW Welt will stand out just as Empire Building does in New York. 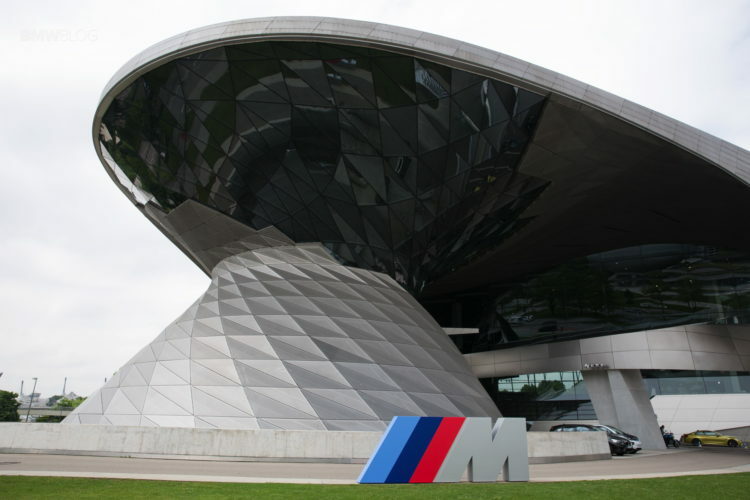 Its architecture is unmistakable and according to BMW, it’s the most visited landmark in Bavaria. Every year, the European Delivery program goes through changes meant to enhance the customer experience and create a connection between the brand, the car and the owner. 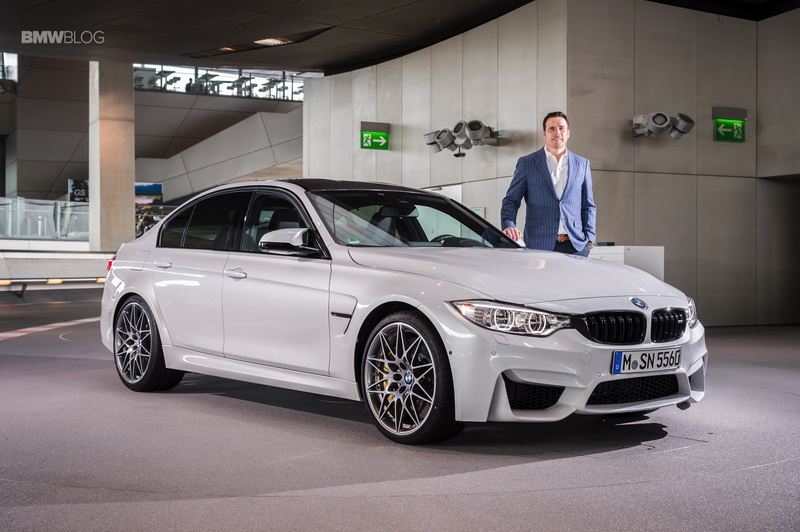 Last month BMW has invited me to the Welt to take delivery of a new 2016 BMW M3 Competition Package. And while I wasn’t able to take this wonderful M3 back to the States, the experience was just as memorable. As I’ve mentioned in the beginning, this was essentially my fourth European Delivery. My second one in 2008 was another 3 Series – the E90 335i – another bimmer I’ve falled in love with and vowed to never sell. But life can take unexpected turns and in 2010 BMW began teasing us with – what I believe – is their best BMW of the 21st century – the BMW 1M. I knew immediately that this is the BMW I’ve been waiting for and in May 2011 I went to Munich once again to pick up my “baby-M”. So five five years later and here I am back in Munich heading to the Welt for yet another special treat. BMW has setup the program in such a way that I would experience the European Delivery Program not as a journalist, but rather as a customer. 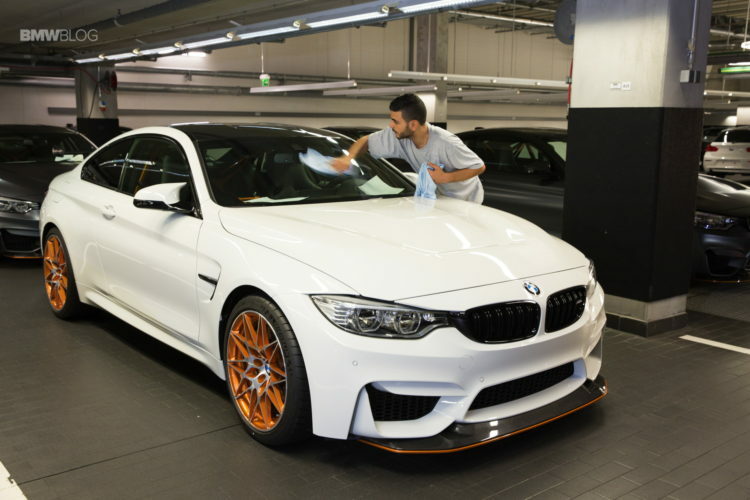 The only difference from what a normal customer can experience compared to the often over-privileged journalist is the additional access to the preparation area underneath the Welt where the cars are being prepped before handed over to the customer. 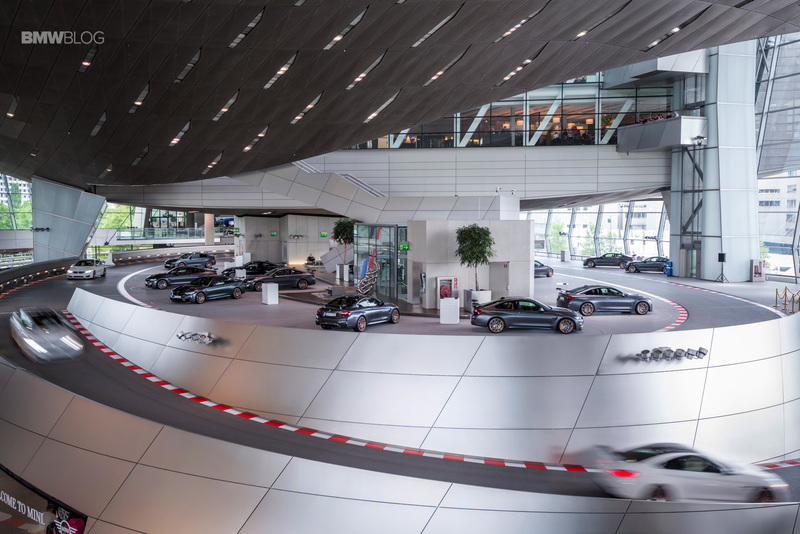 As soon as you arrive at the BMW Welt, you’ll be instructed to head over to the delivery desk where after a courteous meet and greet, you are then escorted to an elevator which leads to the BMW European Delivery waiting area. Compared to five years ago, the entire floor has been redesigned to not only look more premium, but also more cozy. Inside there are individual advisors desks, a refreshment area and lockers where you can store your things. The paperwork process has also been streamlined and just after a few minutes, your name shows up on the delivery screens. 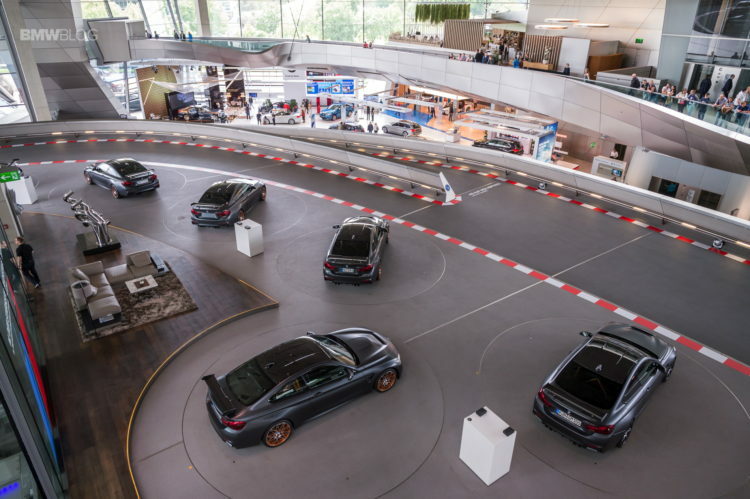 An advisor will then appear and take you down a ramp overlooking all of the interior of BMW Welt. From this vantage point you can see your vehicle come up in a glass elevator and drive onto the delivery floor. They place it on a turntable, where, as you walk down the ramp, the advisor pushes a button and your car spins on its turntable in a spotlight. But before your car reaches the floor, it actually goes underneath the Welt where a large team of people are in charge of the car’s preparations. 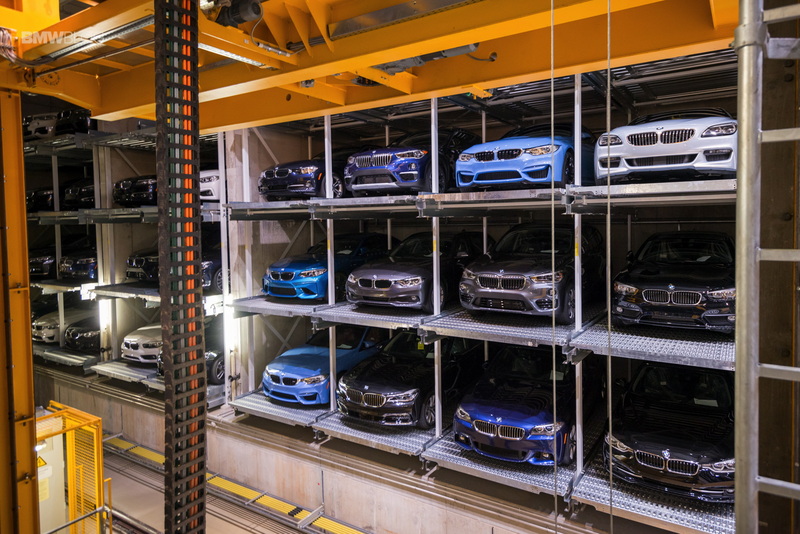 BMW says that cars usually reach the Welt at most 24 hours before delivery. The cars are first washed with just water – which is recyclable and goes back in the system. Next, the cars are being brought to life since they come from the factory with no software installed. BMW even puts the battery on a charger to make sure it’s fully prepared when the customer begins to drive. It takes between 30 minutes to an hour to prepare the car before it goes through one final detailing process. 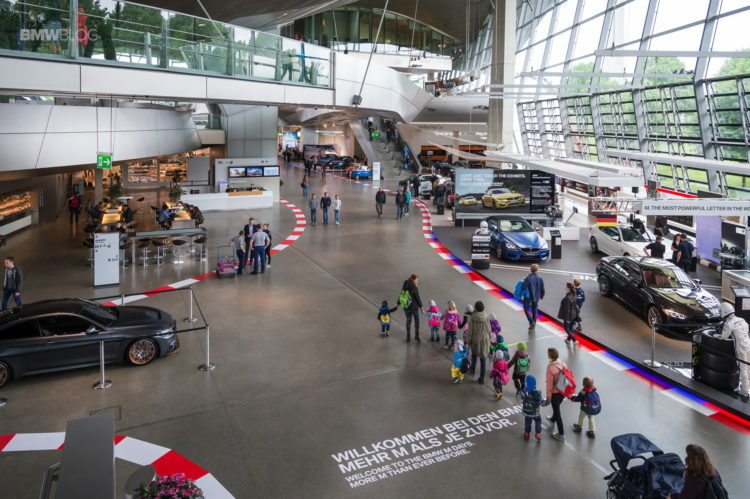 Next, the cars are being stored in a robot-operated garage which is one of the coolest things you can see at the Welt. The special 280 units parking storage operates with reduced oxygen – by 15 percent – protecting against fire and ensuring cars are not irritated by blemishes. 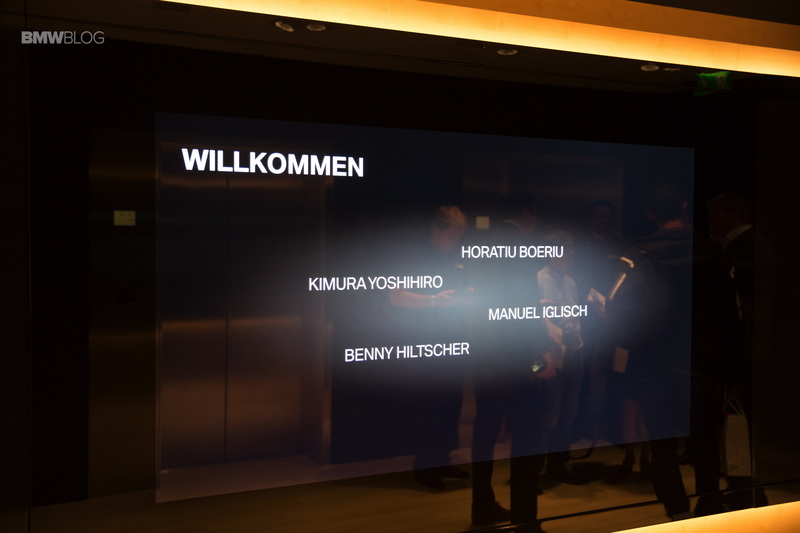 So now the cars are ready to be delivered to their respective owners, but before that happens BMW wants to make sure you know everything there is to know about your car. Meet the new Product Info Center which was rebuilt at the beginning of 2016 featuring individual lounges with a new sound technology. The Product Info Center is now fitted with the latest technology to provide you with a virtual explanation of all the functions offered by your new BMW. A carpet of music goes through the music of the room and when the product is explained, you will get 20 different tracks that intertwine with the track in the middle and when you see the four different driving phases the music supports and underlines that explanation. 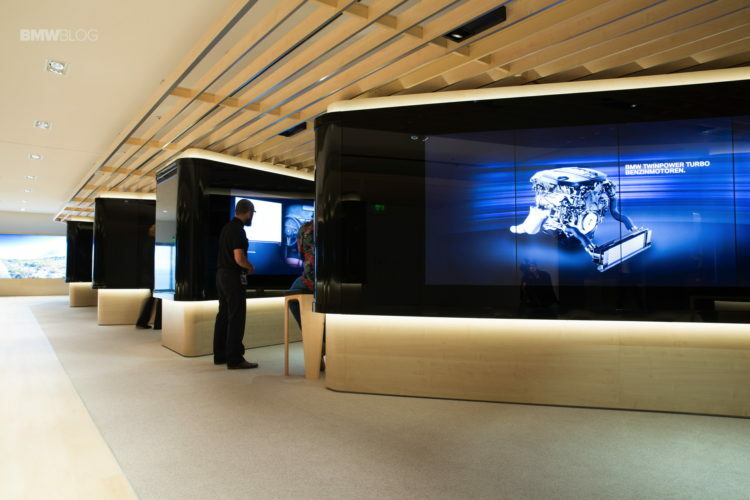 The briefing is tailored individually to your BMW allowing you to familiarize yourself with all functions before getting into your new automobile for the first time. There is virtually a digital book for every feature in the car which in the case of the new 7 Series can be quite a lot. 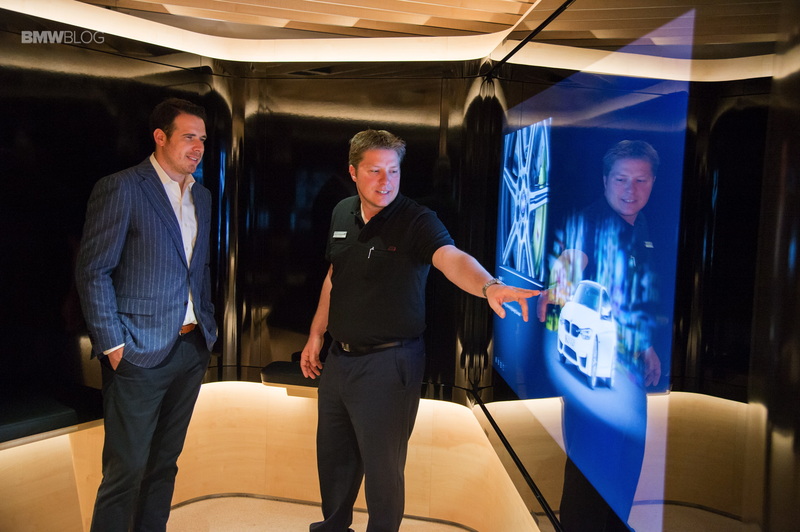 Whether navigation, rear view camera or Head-Up Display, in a very distinctive setting, your personal consultant introduces you to all the main functions of your new BMW on a screen. The sophisticated 6-channel Surround Sound system and high-end and extremely large LCD touchscreens are just as exciting as the BMW you’re going to pick up. There are 13 cabins and 171 speakers. The car shown on the screen is exactly as you’ve ordered it, to the last option, so the teaching experience is as real as it can get. About 90 minutes later and my delivery consultant has made me feel comfortable with the BMW M3 Competition Package I was going to see on the delivery floor. Now the time has come to see my new BMW. As I go down the stairs to the delivery floor, the personal consultant hits a magic button on his tablet which starts the turntable where my M3 was placed. The car spins slowly inviting me to the floor for a closer look and of course, the mandatory photos. It’s all very theatrical and BMW makes sure that it’s an experience of a lifetime. The customer consultant makes sure I’m familiar with all the controls and optional features, answers all my questions before I head out into the world with my new and shinny BMW. Yet the geek inside of me still wants to hang out a bit more in the Welt, taking some more photos and admiring the beautiful architecture and the nearby cylinder-shaped BMW Headquarters. 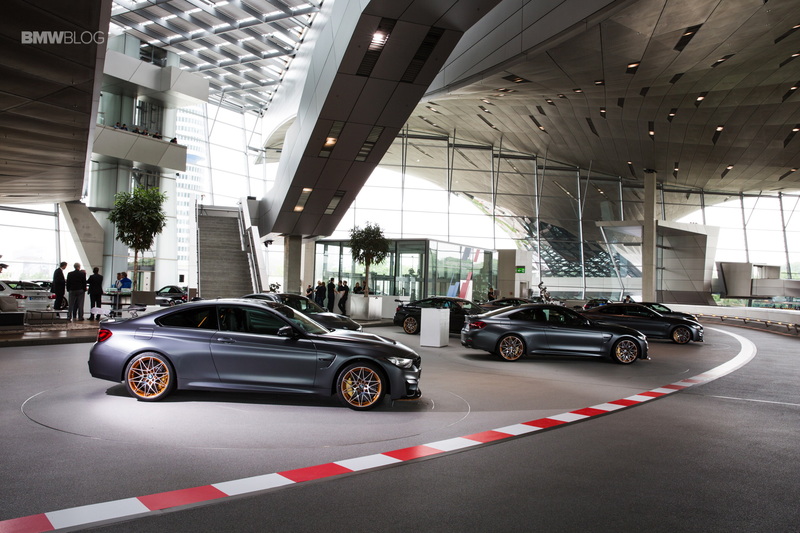 The doors to the world open now and I’m ready to hit the gas before my next destination – The Nurburgring. BMW says the European Delivery customers are very loyal. For example, one of them is on his 12th BMW since the opening of the Welt which equates more than one per year. Twenty three percent of the customers come back for another delivery. Without a doubt the BMW European Delivery is the most unique buying experience I’ve ever seen and BMW is constantly raising the bar to ensure its customers not only get one of the best engineering brands in the world, but also a premium experience. As I’ve said in the beginning of this article, the BMW European Delivery is a must on your bucket list, whether through your own purchase or by simply tagging along with a friend. It’s addictive, it’s cool and it’s an experience that you’ll never forget and one that will bring you even closer to your BMW.